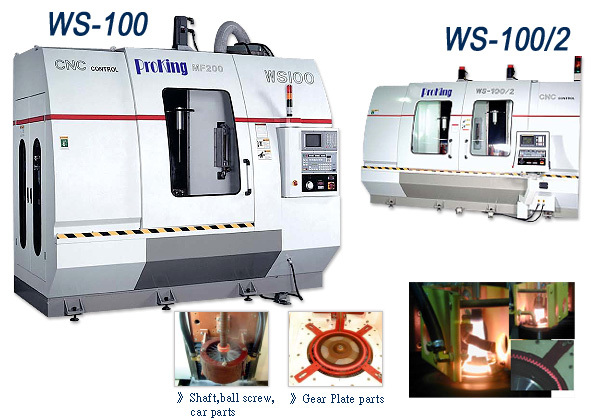 for various workpieces such as bar stocks, shafts and disk-type workpieces. etc. •Operation control provides NC control or human-machine interface control to choose from. •The work station is built with water-cooled circulated heat dissipation system. is much higher than that of a single station. melting, artifical diamond melting furnace, forge heating, etc.